Now a medical examiner in Detroit, he spends his days surrounded by death and prefers it that way. Wearing his new identity like armor, Nate hides behind it to prevent anyone from getting too close. 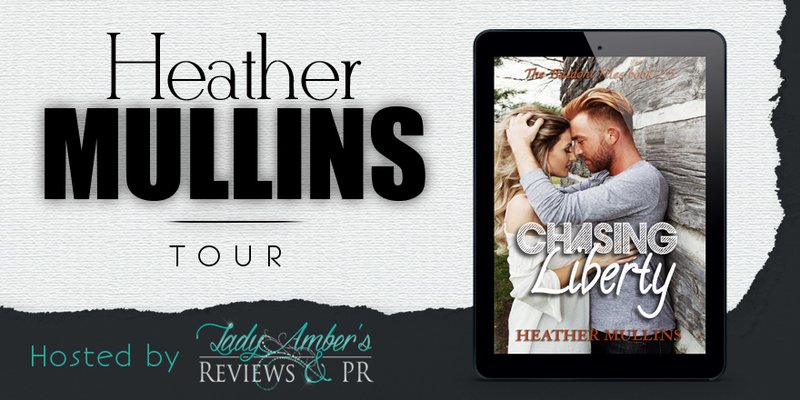 All that changes when he meets a country girl that rekindles memories of his past. Liberty ran fast and far from the one-horse town she grew up in, without so much as a goodbye. Finding herself locked in the arms of temptation and succumbing to the worst decisions of her life, she sees no other alternative than to do what she does best ... run. 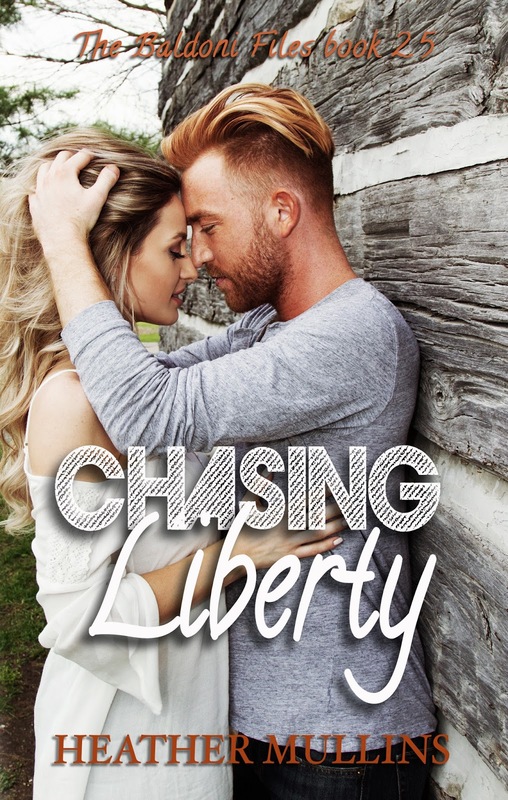 When Nate and Liberty's paths collide, their impending futures come barreling down on them both. 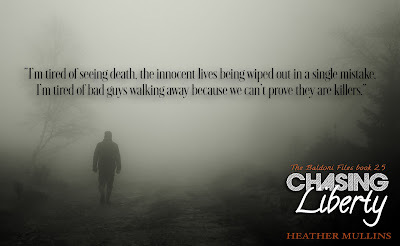 Will the pair have the strength to fight their demons together, or will fear-hardened hearts force them apart? 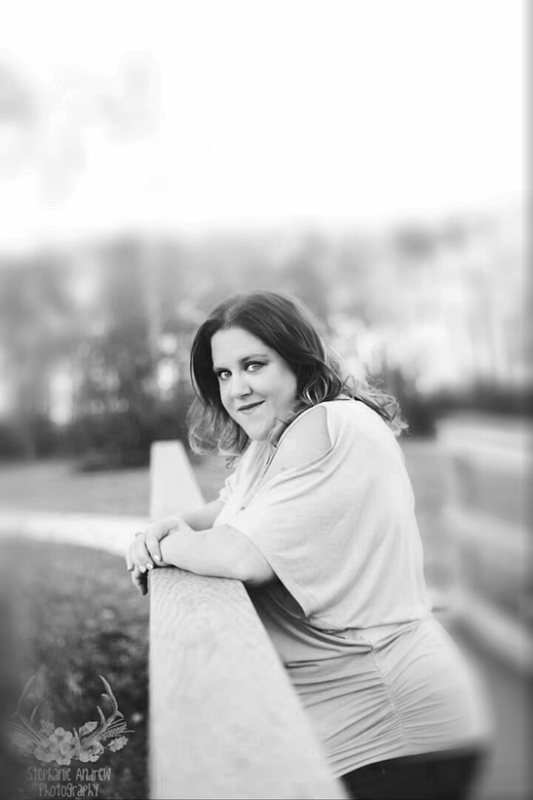 Heather graduated in June 2017 with her Bachelors in Human services. She is now working on specializing in substance abuse counseling. She's an Air Force Veteran and is honored to have served her country. She is a mother of 3 wonderfully crazy kids and has been married for 16 years. When she isn't playing taxi she is living vicariously through the lives of characters in any number of books. Crystal Falls, Michigan is a tiny town in the upper peninsula with about fifteen hundred people on a good day. It’s really just a dot in the rearview mirror. My mom, hoping for a better life and a fresh start, moved us up here when I was four. But all it gave us was heartache and anguish. She sold everything we had to be with a man we’d never met only be end up rejected, stranded, and homeless. If it weren’t for Grandma Rose, who knows what would have happened to us. She was our saving grace. Mom and I had been living in our car and had gone into the truck stop to take a shower. She found me digging through the trash for something to eat; it had been almost two days since we’d had any food. This woman took one look at me and opened her heart and home while giving my mom a job and becoming our family. Her diner, Rosebud’s, was left to us when she passed about ten years ago. My mother ran it until she got sick during my senior year in college. I had no idea she had cancer until I saw her at graduation. She was so pale and frail, I thought she was going to break. After we lost her, I was told she wouldn’t allow anyone to tell me she was sick until after I had finished school. She knew I would’ve come home without my degree. Out of guilt and grief, I’ve kept their memories alive and continued to run the diner, but it’s gotten harder and harder to keep this place going. The lack of tourists has turned Crystal Falls into a ghost town. Truckers traveling from Wisconsin to Michigan don’t even stop here anymore. As much as I love and miss them, there’s nothing left for me here. So, as I flip the open sign to “closed,” I have a bittersweet feeling. I’m closing a legacy as I shut off the lights and lock the doors to an end of an era. With tears running down my face, I pull out of the parking lot and toward the highway. Heading south, I glance in the rearview mirror one last time. I’m petrified at what lies ahead, but I’m excited to get there.